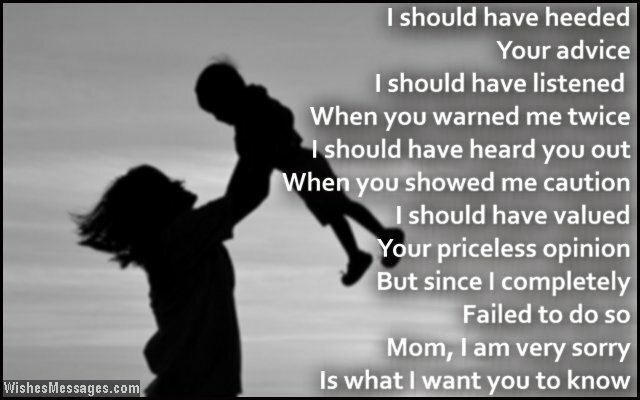 I am sorry poems for mom: Owning up to your mistakes doesn’t always have to be a scary thing. 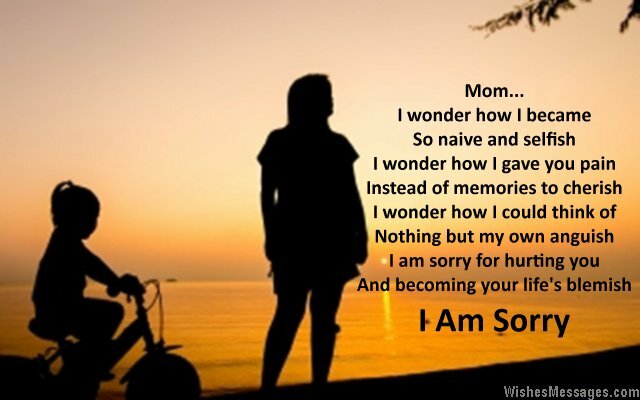 Write a sweet poem on a greeting card and hug your mom while giving your apology. Your cute rhyme will melt her heart and she will be happy that you had the maturity and courage to walk up to her and apologize. Be the son or daughter that your mum deserves to have. 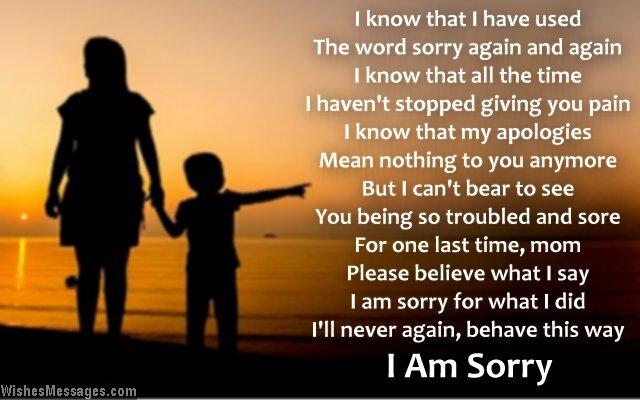 Whether it is about saying sorry for being rude to her or for doing something you shouldn’t have done – don’t take your mother’s forgiving heart for granted. A heartfelt apology is all it will take to put your differences aside.